I didn’t really understand the benefits of drinking fresh-pressed juice until I watched Fat, Sick and Nearly Dead. 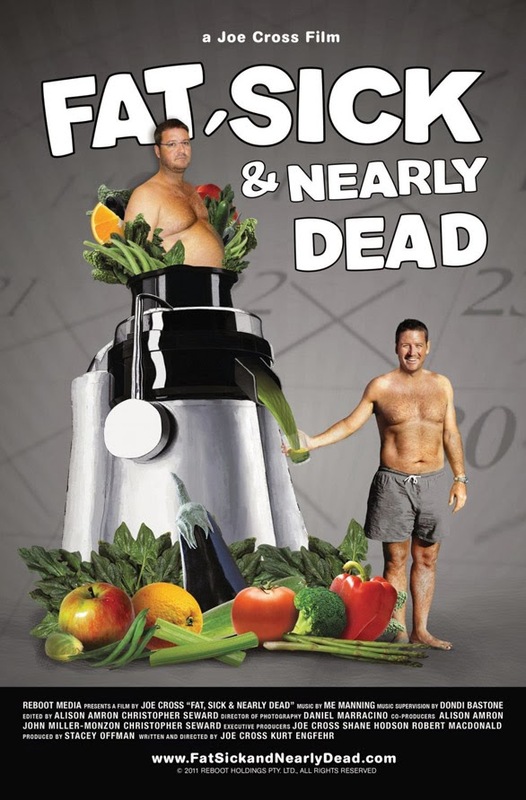 In this documentary, Australian Joe Cross chronicles his journey to regain health with a drastic 60-day juice fast. 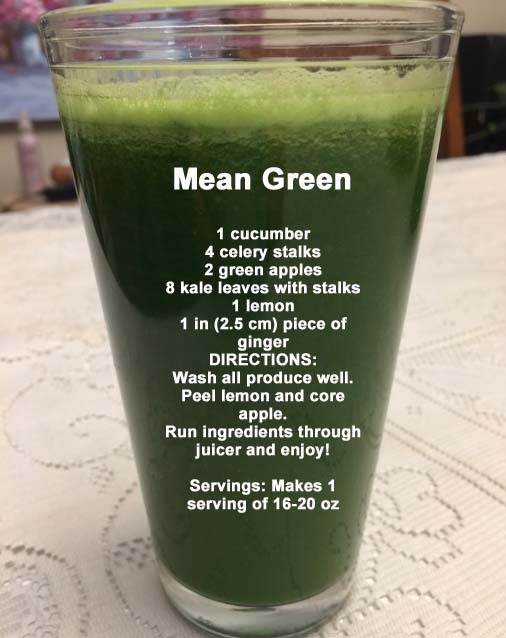 As he juices his way across America drinking his signature “Mean Green” (recipe below) Joe loses nearly a hundred pounds and clears up a chronic, debilitating skin condition. Inspired, I wanted to try this. I could certainly benefit from some weight loss and re-setting my taste buds away from junk food and towards healthier whole foods seemed like a win-win. First, I loaded up my shopping cart with veggies – heaps of greens, mostly organic. The Environmental Working Group (EWG) puts out a list every year of the best and worst foods in terms of pesticide residue. When you’re ingesting huge quantities of produce for juicing, organic is preferable if only for the most contaminated dirty dozen. In 2018, these are strawberries, spinach, nectarines, apples, grapes, peaches, cherries, pears, tomatoes, celery, potatoes and bell peppers. The clean 15 are the least contaminated, so if you have to skip organic due to cost or lack of availability, start with these. On my first try, it took me over an hour to wash, peel, and chop enough veggies to make a day’s worth of fresh juice. Another 15 minutes was spent juicing, then 10 more minutes scrubbing the juicer Once the pulp dries in the machine, it can become very difficult to remove. So yes, time is involved – but if you’re not cooking, you may have a bit of time to spare. Some find the taste of freshly-pressed green juice refreshing; others liken it to drinking freshly-mown grass and gag and sputter as they choke it down. I prefer it immediately out of the juicer, when the nutrients and enzymes are optimal. Fresh is not always possible if you’re juicing ahead or taking it to work, in which case it’s completely fine to store it in glass containers in the fridge for up to 72 hours. Some people freeze it – I never have. Centrifugal Juicers – Using centrifugal force, these juicers spin the pulp at high speeds to extract the juice. They can be loud and are not great at juicing leafy vegetables, such as spinach or kale, sprouts or wheatgrass. Masticating Juicers – These are known as the “cold-press” juicers. Produce goes down a tube where it is squeezed and crushed at a slower speed with the juice exiting the bottom of the tube. I started with a Breville centrifugal juicer. As I got more serious about juicing, especially greens, I purchased an Omega masticating juicer which I continue to use daily. Juicing extracts the liquid and nutrients from produce leaving behind the indigestible fibre. The digestive system doesn’t have to work as hard to break down the food and nutrients become more readily available in much larger quantities than eating the produce whole. Many healing/detox programs offer fresh green juices for just that reason – they are extremely nourishing and help to restore the body at a cellular level. Smoothies use the whole fruit or vegetable, with all of their natural fibre. Made in a blender or NutriBullet, the process breaks the fibres down to make them easier to digest allowing for a slow, even release of nutrients into the blood stream and avoiding blood-sugar spikes. More filling and faster to make, smoothies generally have a thicker, creamier texture than juices. Ounce-per-ounce, they contain fewer servings of fruit and/or vegetables than fresh-pressed juice. The first three days of juicing were hell. I felt feverish, as if I was getting the flu. My head was pounding. My muscles hurt. This is what detoxing feels like when you abruptly cut off sugar and caffeine . By Day 4, however, I felt somewhat better and then WHAM, I felt amazing! I would get crazy surges of energy — I caught myself bouncing up and down by the photocopier at work one day. I constantly felt like moving and walking and going outside! It was remarkable. I discovered that I liked to have a “shot” to start things off every morning and I continue to do these now. Wheatgrass, while beneficial, makes me feel queasy so my preference is lemon and ginger. 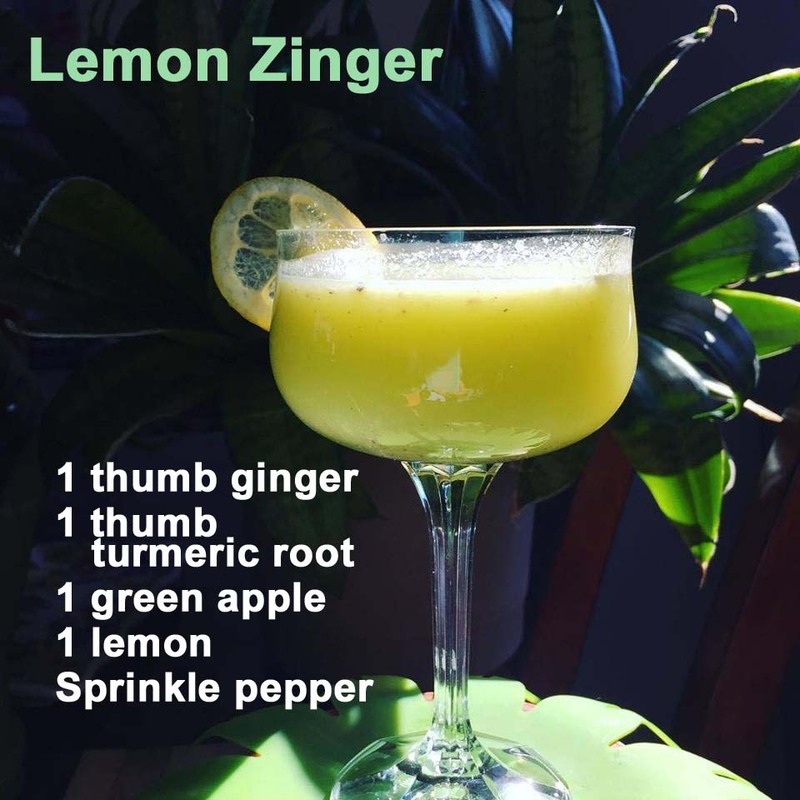 Ginger shots (my Lemon Zingers), are a great eye-opener with a slow warming burn not unlike a shot of whisky. Sometimes during the fast, I did feel bloated from all of the juice, but never did I feel as if I was starving. I stuck to the juicing schedule that Joe Cross suggests which is about 16-20 ounces of juice, 4 to 6 times per day, supplemented with herbal tea and pure coconut water. It’s also suggested that the ratio of produce in the juice should be 80% vegetables to 20% fruits — to keep the sugar down. At the end of 30 days, my stomach was making extremely loud gurgling sounds, reminding me that it wanted something with a little more substance to digest. I was ready to eat again. People had noticed my weight loss – it amounted to 28 pounds in a month. My blood pressure, cholesterol and blood sugar levels had all dropped. My doctor told me that whatever I was doing was working terrifically well. Plus I had more energy than ever. 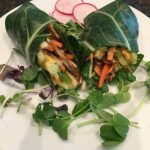 I lost my taste for sweets and junk – at least for a while – and the first solid food I wanted to eat was a raw green spring roll. Although some can and do fast on juice for long periods with excellent results, I would never advocate exclusively juicing for a very long term. A 30 or 60-day juice fast is a pretty drastic measure and probably long enough for even the most hard-core juicer. It does reset your mind and body as one would reboot a glitchy computer. The sense of well-being is invigorating and will carry you towards a healthier path for some time. If you do start to slip back into old patterns, a short juice fast of a few days serves as quick reboot to get back on track. Ultimately, however, you don’t need to “fast” at all – just include fresh-pressed juice as part of your lifestyle. The super-boost of easily-absorbed nutrition always feels fantastic. I now try to include one a day on most days. Nature’s multi-vitamin. 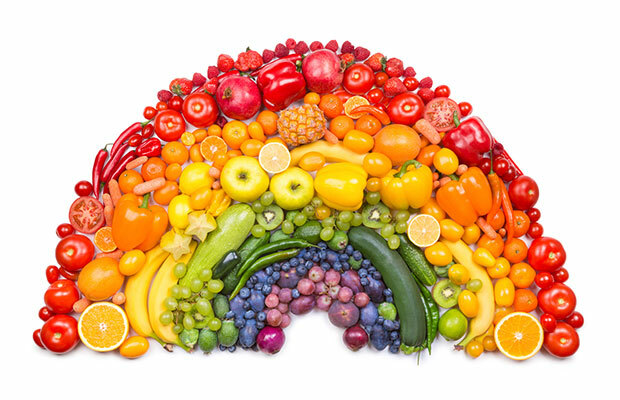 In order to get the widest variety of nutrients, it’s important to drink the rainbow. Green juices. Red juices. Orange juices. Purple. My tip for better flavours when making up recipes is to stick with the same colour families for each batch of juice. Do not mix green produce with orange produce. It will turn brown. It will not be appetizing, no matter the taste.